One of the most rewarding aspects of working on neat technology is when you can make a difference in the real world. 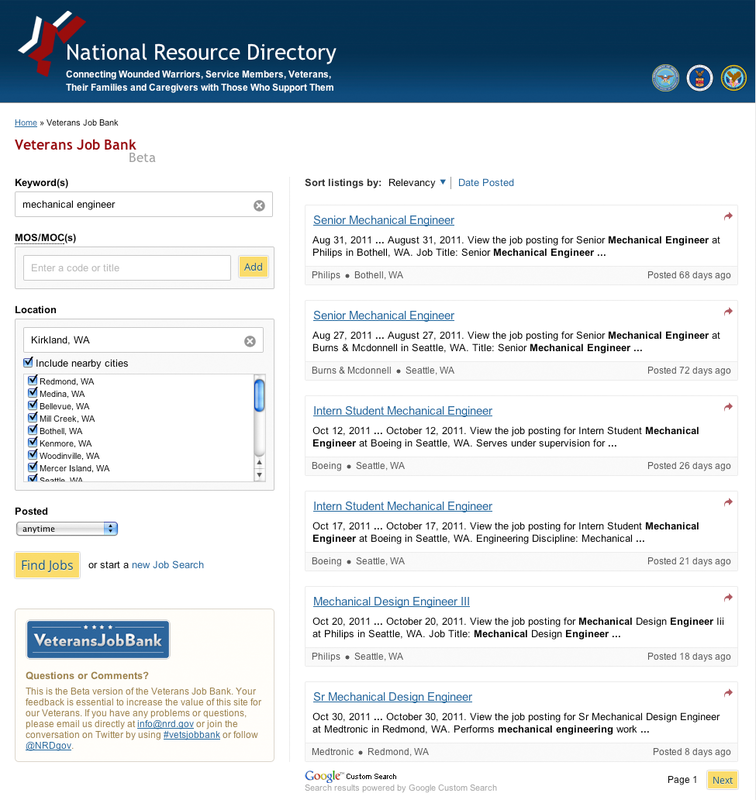 Our Custom Search team has been collaborating with U. S. agencies to produce a job search engine for use by returning military veterans. This is especially cool because today is Veterans Day in the U. S.
Wan and exhausted, a team of six men emerged last week from a mock spacecraft after spending almost a year and a half on a simulated trip to Mars. The six lived in windowless capsules in Moscow for 520 days to see how they would react to the confinement. One physiologist, a trainer, a surgeon, and three engineers made up the diverse crew, who were said to be in good health at the end of the mission. Their virtual trip to Mars qualifies as either a really grueling job or a bizarre vacation. Wonderful as the simulated Mars mission was, it can’t compete with this classic video – especially today. Have a great weekend! Wondering what this post is doing on Google Code Blog? Once a week, on Friday, we lighten up and have a little fun, posting curious, clever, and interesting bits and pieces. One more thing: we hope you find one not-so-hidden date-appropriate message in this post.